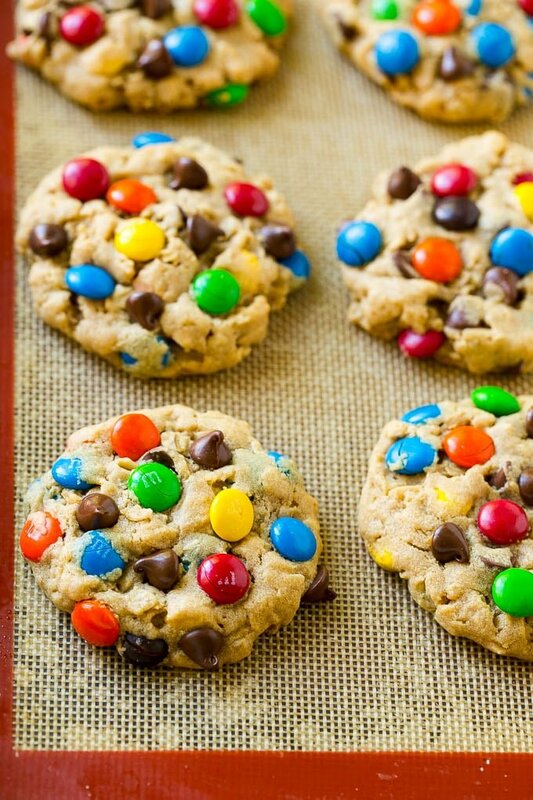 Looking so delicious , I cant believe that the total time to make them is just 25 minutes. I want some ! 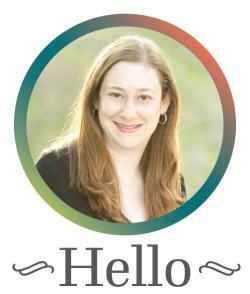 Anytime I read your posts, I learn a new way of preparing a given dish or snack. Keep up the good work! Thanks. What better way to keep the kids busy during holidays. More so, the end product looks yummy. I love how you share these recipes with us. Thank you! Oh wow these look amazing! MY kids would love making these – will bookmark this recipe for half term!!! Ahhh yum! Monster cookies sound really delicious. 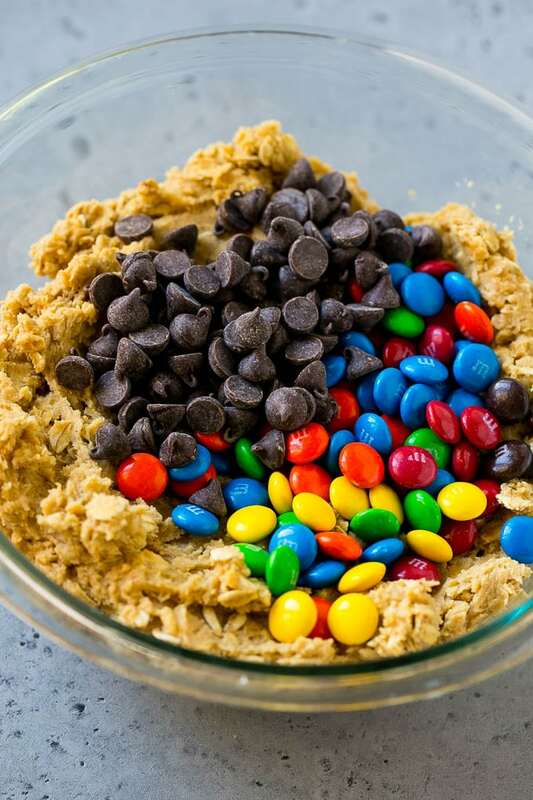 This would make a great treat for a party. 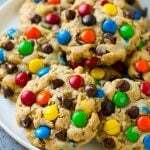 I am literally drooling over these amazing cookies yummmm!!! I am definitely gonna do some baking this weekend! Thank you so much. 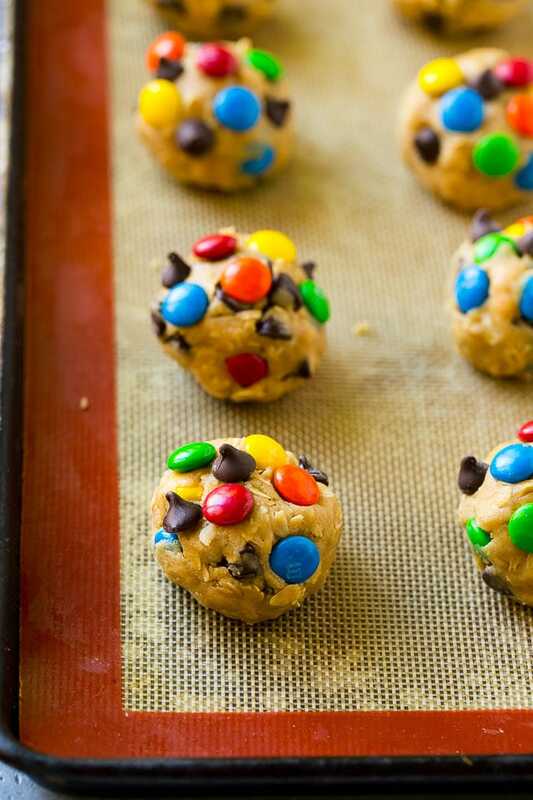 These look yummy ! I love the colors. 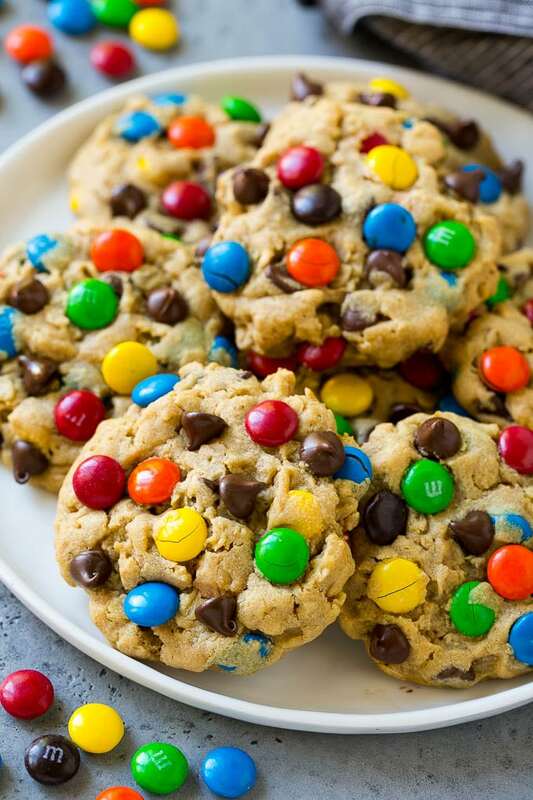 Monster cookies would be perfect for a kids party. Yesss. These bad boys have everything but the kitchen sink! I must have these in my life. Looks so sweet and festive! Love it! And it is simple to make too, hands up! Oh my goodness, I’ll be printing this recipe! My son will love these.. unless my husband eats them all hahah. 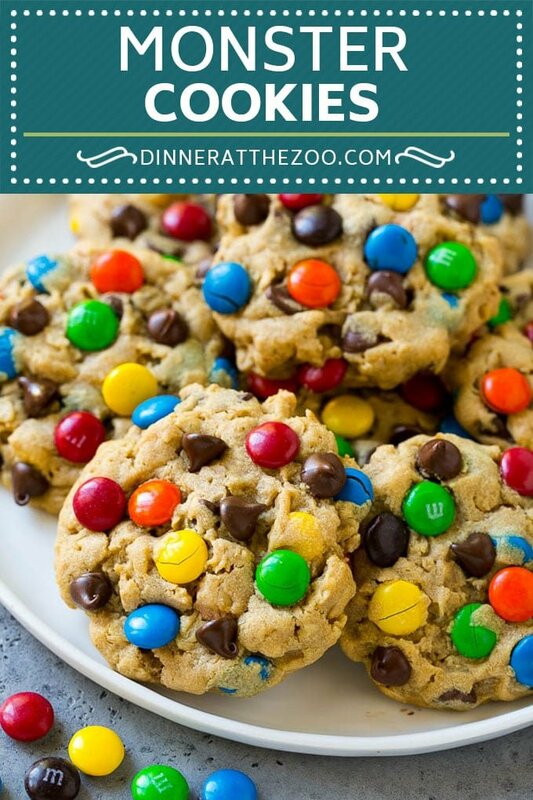 https://www.dinneratthezoo.com/monster-cookie-bars/ directs to Monster Cookies, tho the picture of the bars (via Bing) appears to be exactly what I’m looking for. When I site search here, I also get Chocolate Peanut Butter Blossoms instead. Where is the recipe for the bars, please? 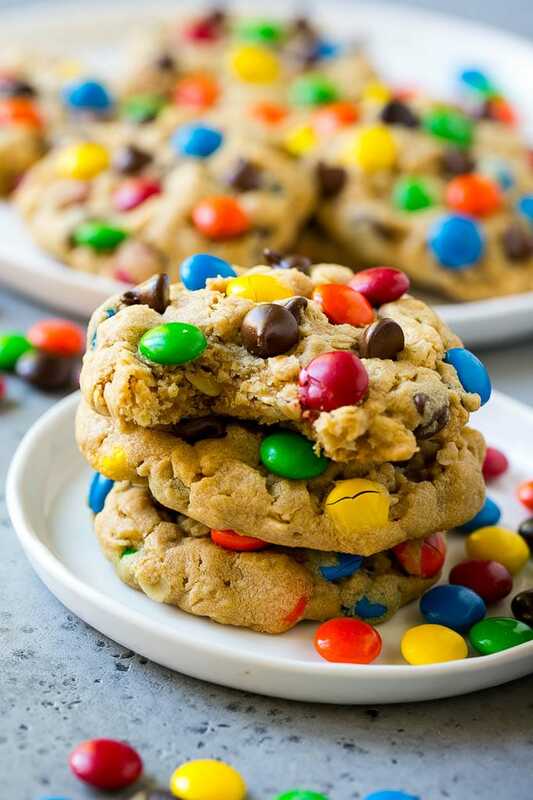 Love your monster cookie bars too – they look so delicious! Can’t wait to try these bars for my boys! Your girls are darling sipping the Capri Sun! Darling girls Sara! Love all that beautiful dark hair. I have a feeling they look like their mama! They certainly look like they love these yummy bars, but I think kids of all ages would enjoy them! These bars looks so good and I am a fan of the new Organic Capri Sun! Those girls are so cute! I don;t know what’s cuter, the adorable cookie bars or those adorable munchkins! !